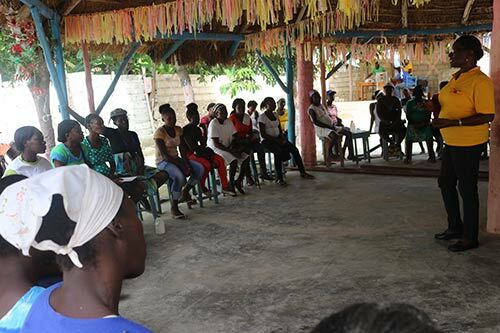 “I stopped going to school because of this unplanned pregnancy, but I hope to return after my childbirth while using family planning,” Yveka told UNFPA. “I would not like to have another child, because I do not have the resources to deal with it,” Nélia told UNFPA. She is unemployed and has not heard from her daughter’s father since July of last year.